Most everyone appreciates noshing on a smoked salmon dip recipe served at a casual party or formal celebration. Smoked salmon is a relatively expensive food item, and thus it is considered a gourmet food; its smoky flavor is doubly delectable when paired with a creamy dip base. 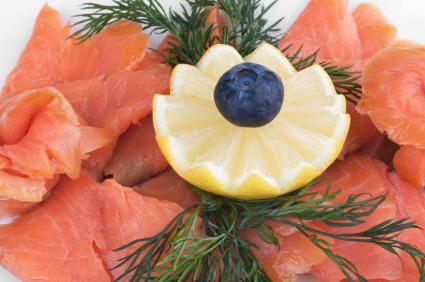 Smoked salmon has been a preferred ingredient of appetizer recipes throughout history. A smoked salmon dip is simple to prepare, and the type of smoked salmon selected usually rests on its characteristics as well as personal taste. There is cold-water salmon, such as Alaskan salmon, and warm-water salmon. Smoked salmon is either prepared with a method of cold-smoking or hot-smoking. The Native American style of smoked salmon is hot-smoked as well, but the method produces a very dry smoked-jerky result. Thus, the type of salmon used in smoked salmon dips is hinged primarily on personal taste, culture and the qualities of the salmon. If you are not familiar with the types of smoked salmon and their characteristics, below is a selection of recipes with different styles of smoked salmon to choose from. This creamy Norwegian salmon dip is easily converted into a quick pate recipe. Just eliminate the sour cream for a thick smoked salmon pate. Norwegian smoked salmon is a drier salmon, which is hot-smoked and tends to taste less salty than other varieties of smoked salmon. Combine softened cream cheese with sour cream (optional). Cream the mixture until smooth. Mince or flake dry smoked salmon. Combine all ingredients in a bowl and blend well. Chill salmon dip in the refrigerator, and garnish with fresh dill. Serve with crackers, crudités and thin slices of ginger. Smoked salmon lox dip is a deliciously creamy dip with plenty of seafood and diverse flavors to keep it interesting. The recipe is easily converted into a smoked salmon spread for bagels. Lox is a cold-smoked variety of salmon known for its soft and moist texture. Process all ingredients together in a food processor, except for the pecans and dill, on low speed. If using an electric hand mixer, chop and dice the ingredients and mix by hand. Stir in chopped pecans and garnish with fresh dill. Season the dip with salt and pepper, to taste. 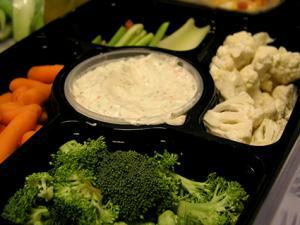 Chill and serve dip with vegetable chips, crackers and crudités. This spicy smoked salmon dip is extra creamy, yet also has a nice texture. The smoky, sweet and sour flavors are balanced with the pungent undertones of garlic and spicy overtones. Throw in the Alaskan, cold-water smoked salmon, and you have a winning recipe for noshing. Combine softened cream cheese with yogurt and mayonnaise. Stir in lemon juice, garlic, horseradish and dry mustard. Add salmon and capers. Gently stir in scallions and add a splash of Tabasco sauce. Season dip with salt and pepper to taste. Cover and chill for up to four hours in the refrigerator. Garnish dip with green onion. Serve with sliced cucumber and crackers, or with extra toppings on the side, such as capers, red onion and jalapeno. Chilling a smoked salmon dip recipe in the refrigerator, for at least a few hours, allows the natural flavors to mingle together, which lends a deeper flavor to the overall quality of the dip. If possible, prepare ahead and chill overnight.